Unfortunately, this happens quite often: you get a custom file with information about products that must be imported into Magento 2, but it is impossible to modify it according to platform requirements. You still need the important product data to be added to your ecommerce database, but the imported file doesn’t match Magento 2 standards. If a file is small, you can create a new one on it’s basis manually, but what if it includes dozens or even hundreds of items or it is just impossible to get it to apply changes manually? How to import products file which cannot be modified to Magento 2? Below, we shed light on this problem. It’s a common case when you get products for your Magento 2 store in various formats (CSV, TXT, XML, Excel, etc) from your supplier or warehouse and cannot modify the source file in order to adapt it to Magento 2 requirements (add some missing fields or change columns). 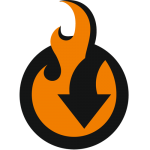 The file may be updated frequent or you may get it from a remote FTP / SFTP server. In this situation, we recommend you to use Magento 2 Improved Import Export extension, since it provides a flexible mapping feature with hardcoded values. Before going any further, check the examples of Magento 2 import files here: Import Export Sample Files for Magento 2. 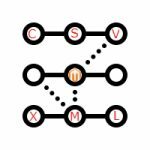 Now, we can tell a few words about Magento 2 import mapping introduced with our Improved Import Export extension. When you create a new import job or modify the existing one, there is the ‘Map Attributes’ section which not only provides the ability to map a custom import file according to Magento 2 requirements, but also allows applying presets. In the ‘Select A Platform’ field, choose a platform to import a CSV file from. Next, you only have to hit the “Load Map Attributes” button: the Magento 2 import extension will compare system and import attributes, applying the selected mapping preset automatically. 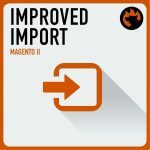 And if there is no mapping preset suitable for your particular case, the Improved Import Export Magento 2 extension allows you to do everything manually. Below, we describe how to import products file which you can’t modify to Magento 2 in a slightly more complicated way. There is nothing to be afraid about: just select a default Magento 2 attribute in ‘System Attribute’ and specify an appropriate import attribute. What is more important is hardcoded (default) values which can be specified for each attribute individually. The new value will be added to each imported item in the appropriate attribute column. For instance, you can specify the same store view for all items.